Cheesy, creamy, carby…It’s macaroni and cheese, and I’m pretty sure it’s humankind’s best creation. We cannot say with certainty who first put pasta with butter and cheese, but it was a power move. It was also genius. Plunging a fork into a vat of creamy pasta, and seeing that cheese-pull upward, and then tasting an overwhelming cheesiness, is an experience that satisfies like little else. It’s pure hedonistic decadence, and we’re 100 percent here to bust our diets for it. 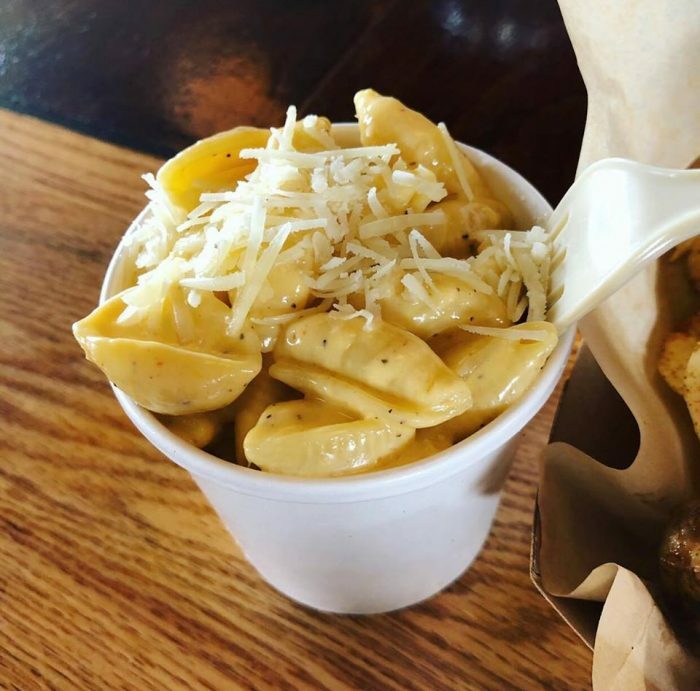 Mooney’s is the mac and cheese gold standard in Buffalo. 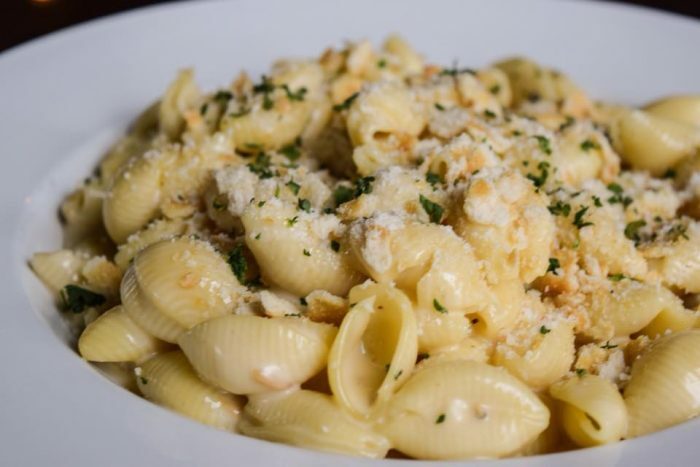 Ask around where to get the best mac and cheese, and most will say, “Mooney’s.” In fact, their slogan is, “Home of the Mac n’ Cheese.” With five locations in Western New York, there is no reason that you cannot find some of their stupendous mac and cheese in all corners of the region. They get creative with their varieties, offering up versions highlighting the best of Buffalo foods. 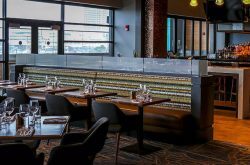 Their mac and cheese iterations include beef on weck, stuffed banana peppers, pizza, stinger, broccoli and cheese, taco, lobster and bacon cheeseburger. Most are topped with panko bread crumbs, and all are baked. 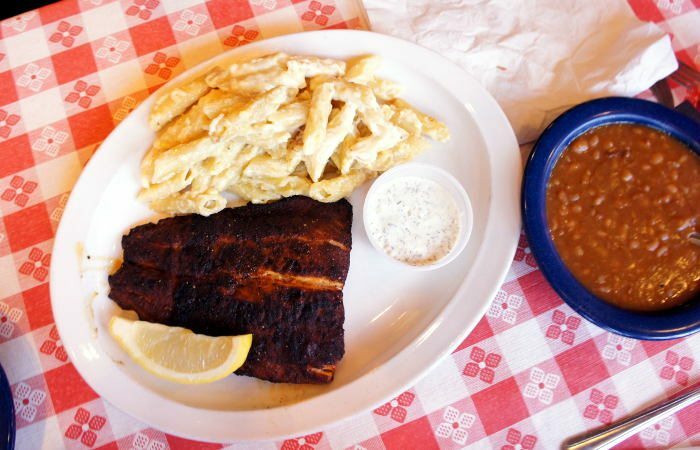 Some pledge their macaroni and cheese fealty to Fat Bob’s Smokehouse and say it’s the absolute best. 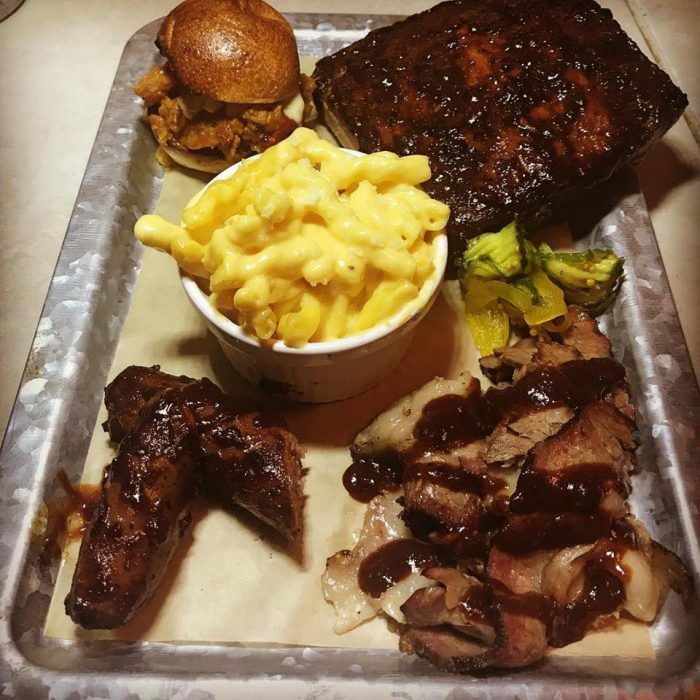 Whether you agree or not, you cannot go wrong eating at this amazing barbecue joint. You be the judge. Full entree mac and cheese is $9.99. 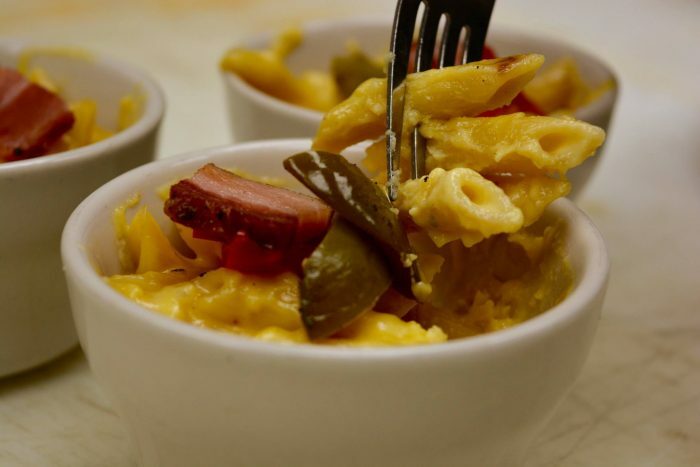 They also offer “Memphis Mac” ($12.99); Texas Mac ($13.99); “Buffalo Chicken Mac” ($12.99); “Stuffed Pepper Mac” ($11.99); and a gluten free pasta option (add $2.50). 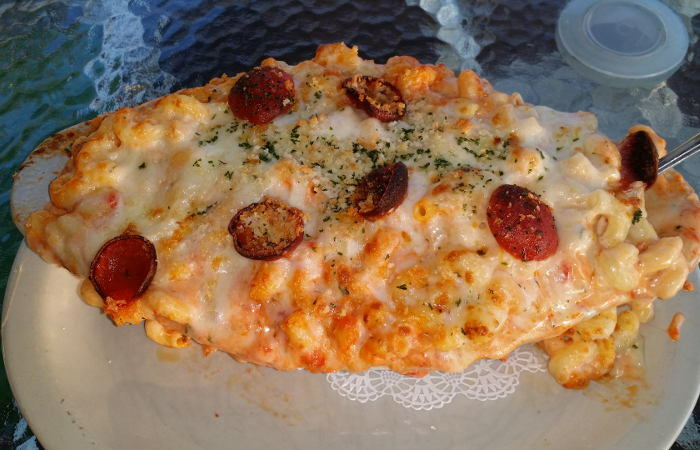 The macaroni and cheese here is listed under “Appetizers,” but don’t be fooled. These dishes are entrees in their own right. 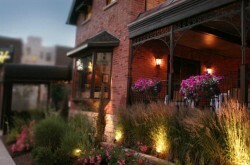 They offer traditional ($10); braised pork belly ($13); shrimp ($12); and mushroom and truffle ($13). Of the four, we recommend the mushroom and truffle. The flavor is unreal, and one not often seen on mac and cheese offerings. This eatery serving New Orleans style food dishes a three cheese mac — smoked gouda, goat cheese and cheddar — cradled in a bubbling cast iron cauldron ($20) of goodness. The cheesy penne pasta is topped with a rosemary panko crust and baked, and it’s basically the next best thing to hopping on a plane to The Big Easy. You can add Andouille sausage for $3, a move we highly recommend. Look under This Little Pig’s “Sides” section, and you’ll find a mac and cheese shining star deserving of its own space. Their mac and cheese ($8) comes with pulled pork, Kansas city barbecue sauce, four cheeses and crispy onions. If you’re not hungry yet, you’re simply not human. This classic American comfort food spot knows how to do mac and cheese, and they do it dang well. 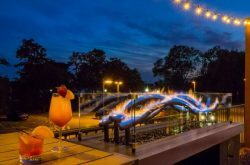 They offer smoked gouda mac and cheese, a spiral pasta baked with diced tomatoes, gouda cream sauce and a breadcrumb topping ($12.95). They also offer “Mac and Andouille Sausage” ($15.75); “Mac and Chicken” ($16.75); and “Mac and Pulled Pork” ($15.75).